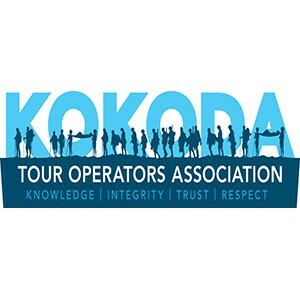 When I talk about a typical day trekking Kokoda, I refer to the values and business model I based Escape Trekking Adventures around. This is about enjoyment, safety and honoring those who served here in 1942. Other trekking parties may not run their day in this fashion (as most will not stop for morning tea, which is a great time to rehydrate before you perspire to much) but it will give you the general feel for how a day will unfold. You day will start with an early morning wake up 5 am. You must spring into action and pack up. To prepare for the day you need to have your gear sorted into your bags, do you need your river crossing shoes? These questions should have been addressed at the evening brief. Breakfast served 5:30 am, consists of Cereal, pancakes, eggs etc. Brush your teeth and take any daily medications you may require. Begin trekking 6 am or close there after to take advantage of the early morning cool temperatures. While on the Kokoda trail most days seem to begin clear and fine with rain or showers tending to fall in the afternoon. Morning tea is held around 9:30 am with duration a 20-30 minute. During this time tea, coffee, milo and snacks are served and any personal snacks you may have. Most morning tea stops toilet facilities usually available. We will continue to trek a medium pace as we do for the entire trek for a further 2-3 hours. Lunch is usually held around 12 pm with a 30-40 minute duration again tea, coffee, milo is served and lunches varying from burritos, noodles, sweet potato fritters, pasta and fruit etc. Most lunch stops toilet facilities usually available. Arrive camp in our nighttime camp between 2-5 pm depending on the groups pace and distance to travel on the day. Our porters will busily go about setting up the campsite, preparing fires and setting up for dinner. The conclusion of the day you are encourages to have a shower or swim at the to clean up, while cooks preparing our meals. Toilet facilities are always available at our nighttime camps. When we are in Villages and Jungle Camps, tents are at times needed. These are looked after by the porters as part of their job. All people are welcome, and we realise that some people do make noise while sleeping. That is a natural part of life, however we do ask that all trekkers are respectful of each other, realising that everyone needs to have a good sleep so as to be prepared for the next day. A helpful way to do this is either to let others know, or move your tent to one side of camp. We do not ask any trekker to share a tent while on the trail, we allocate a 1 x 2 person tent to each trekker to give you ample space to spread and rest each evening. Dinner 6 pm with a variety of rehydrated Australian meats and fresh vegetables, curries, satay, pizzas, spaghetti bolognaise, stir fries etc. Each day will include history briefs in the appropriate locations and cultural briefs of PNG. These history briefs will include gun emplacements, facts on events that happened during the campaign along with stories of the Kokoda trail as told by the surviving diggers.